As a boy, I remember going to sleep over at “Grandpop’s” house at their old stone house. During the morning, I would watch some cartoons while Grammy Bauman made me some delicious eggs, and I always got to choose between “Grandpop’s” Yellow American Cheese, or “Grammy’s” White American Cheese. During the day, I sometimes walked with Grandpop in his garden, and he would show me his attempts at growing brussel sprouts and carrots, and we’d walk through the more tried and true plants like tomatoes and corn – all while he wore his traditional outfit of jean overalls, a white button down shirt, and a straw hat. In the evening, I’d get tired and go up to the spare bedroom where there was a bed waiting for me, and as I drifted off to sleep, I saw the dim glow of a desk lamp on grandpop’s desk as he read his bible and took notes just a few feet from my bed. 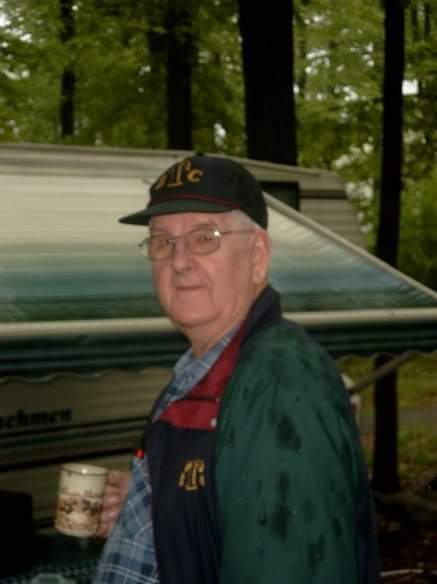 Grandpop was a man of great faith – always reading the bible in the evening, reading other books for Christian study, leading a Sunday school class every Sunday morning, and every day of the week he showed the Love and mercy of Christ to others. Grandpop was a man who exemplified consistent Christian Character. He and my Grammy Bauman raised 7 boys together in the Lord, and while I do not know the faith of all of my uncles, the ones that I do know of have a very deep faith, and a faith that keeps wanting to grow. When my father sits down at the dinner table and says his prayer for the family, and for the food, sometimes his voice has a slight tremble as he is speaking to God, and thanking Him for all of his and our family’s blessings. My Dad is a man after my grandfather’s heart; he will bend over backwards to help people – especially those he loves. He once drove up to visit my Aunt and Uncle in Canada just to help them out with things to do around their property and house. During that week, he fell off the top of a large wood pile, and we were all worried about him. During that week, he also went to an auction, and got me a $400 guitar for $50.00. When he came home, he got out of the car and I went to hug him, and he said, “Wait, let me get your guitar”, and I said, “Dad, I’m just glad you are home safe”. Today, I sit at my desk in my Church office, writing plans and lessons for the school year to come for my position in Youth and Young Adult Ministry, and I just think, “I wish Grandpop was here so I could talk to him…”. In November, when I married the woman of my dreams, I really wanted Grandpop to be there; I wanted him to meet this wonderful godly woman that I get to spend the rest of my life with. There are many times when I just want to talk to Grandpop. But today marks 7 years since he passed away, and even as I write this, I get teary eyed. Surviving Grandpop in our immediate family is my Dad who, together with my mom, raised his three boys in the Lord, and each one of us today has a deep love for God, and a deep love for people; just like Grandpop. The Faith of our Fathers is a blessing. I cannot express enough how fortunate I am to have received time, instruction, and conversations from my Grandpop. I miss him so much, but his impression on me is deep and long-lasting. May God watch over our family and yours, and may God show us the love and mercy that we can pass on to others. Amen.